Want to do SEO Training in Jaipur? Advance SEO with knowledge of latest Google Updates, practical approach of coaching, regularly updated course content has earned us an immense reputation as the perfect institute for SEO Training in Jaipur. What would you learn in this SEO Course? Let’s first understand, what actually the SEO is? And, how can we help you to master genuine white hat SEO skills? Are You excited about learning SEO ? Users normally tend to visit web pages that are in the top of SERP’s. If you have a question, why some of these websites rank higher than others then this is because of a powerful internet marketing practice known as Search Engine Optimization (SEO). Search Engine Optimization is a multidisciplinary activity that seeks to generate productive organic traffic from search engines via technically sound and connected sites by matching query intent with relevance and value. This definition is a bit technical for the beginners, but in simple words, SEO is a planned, continuous and ever-changing web promotion technique with a single goal to increase visibility, authority, and productive traffic to a website. Traffic received from the organic SEO provides the highest ROI across all industries. More than 90% of internet users find websites using Search Engines. 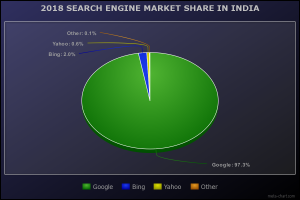 Google shares 97.3% search market alone in India in 2018. Search Engine Result pages contain both organic (Free) and PPC (Paid) links. It is found in various SEM studies that more than 80 % of users click on organic links. 62% of searchers never go to 2nd page of results. Top 3 organic search results control 54% of click and thus get succeed to enjoy high CTR (Click Through Rate) thus higher conversions, means more traffic, more profit. If a website doesn’t appear in SERPs with good rankings, it’s losing a big bite of profit, and that is certainly going to the competitors. And getting the higher rankings is only and only possible by SEO – Search Engine Optimization. Doing SEO Training at Jaipur can help you to understand most of the issues hold back a website to show up in search engines with better rankings. Best SEO Planning starts before the designing of a website; it saves lots of money and time. SEO knowledge can help you to better monitor the SEO work if you hire somebody to do it for you. If you do it yourself, SEO course can drive quality traffic to your website and generate business with least resources and team. Be your own BOSS. Become an SEO consultant; provide services to other website owners by driving traffic to their websites and earn a handsome income by work-from-home. SEO is Great as a career option. Start your own SEO consultancy firm, pick projects online and start your own online marketing business. At Quibus we have trained more than 600 aspirants, see the reviews here. According to our alumnis, we are the only and best SEO training institute in Jaipur which provides 100% practical SEO training. I am an undergraduate, can I learn SEO? I don’t have knowledge of web designing and coding, can I Join SEO courses? I am a house-wife, should I learn SEO? I am a business owner, have a website but don’t have time to do SEO work, Should I learn SEO? I can’t go out to do a job, can learning SEO, get me some work at home? The answer needs some common-sense. 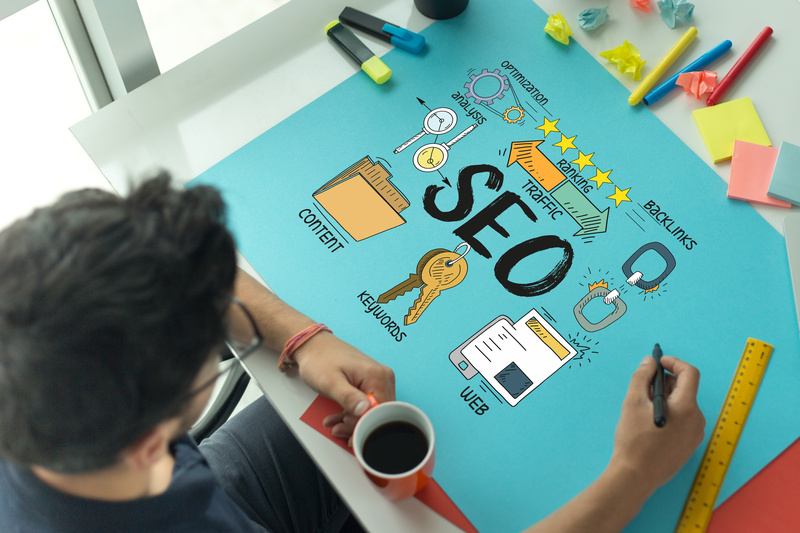 Every website owner wants to show up high in search engines to gain more and more traffic to reach a maximum number of audience, and that’s where they need an SEO expert. SEO does not require any programming skills or specific technical knowledge; it demands regular involvement and experience. With millions of websites and many launching per day, competition is fierce to achieve a position in top 10 SERP results, therefore the need for SEO expert will increase tremendously. We provide SEO Training in Jaipur for Beginners, so anybody with a basic hand on English can join and pursue this course. Anyone or Everyone having or would be having relation with internet to promote oneself, business, products or services, can/must learn Search Engine Optimization best practices. Good Thing is, now you can join the best professional SEO training in Jaipur, Rajasthan by Google certified professional. 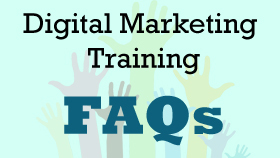 What Will You Learn in this SEO Training? SEO is a vast and ever-changing field. What is effective today, may not be working tomorrow. SEO can be mastered by learning the basic core rules which are stable and will not change ever. Below are some topics out of our SEO Course in Jaipur. Understanding how the search engine works? How do search engine rank web pages? What is good about the content?